Biggest Mural in the Cape! 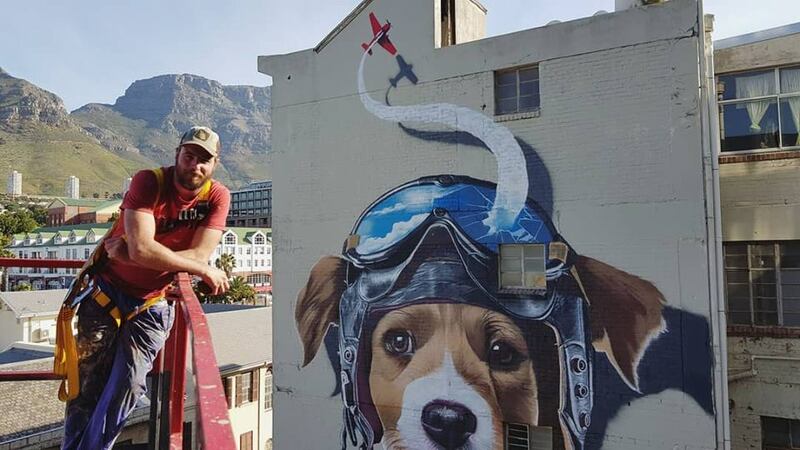 In November 2018, BAZ-ART unveiled what is speculated to be the largest mural in Cape Town to date. The 400 square metre mural was created by Belgian street artist, Bart Smeets also known as Smates in collaboration with the Embassy of Flanders in Pretoria as the official billboard to promote the upcoming IPAF festival. Smates, is a Belgian street artist who was born 1978 in Asse (close to Brussels). He studied graphic design at Sint-Lukas Brussels and graduated as a graphic designer. Bart has always been a fan of realistic drawings and paintings so after graduating he followed painting classes for about 2 years and that helped him a lot to become artist he is today. At the age of 17-18 Smates started with graffiti and has painted till he was about 22. According to Bart, he stopped with graffiti for no special reason, and started again in July 2009. A couple of years ago he started part-time as a graffiti artist and since September 2013 he is a full time street artist. His style is ultra realistic and he draws inspirations for his works from the surroundings where the wall is located or the form of the wall. He enjoys playing with depth and 3D illusions. 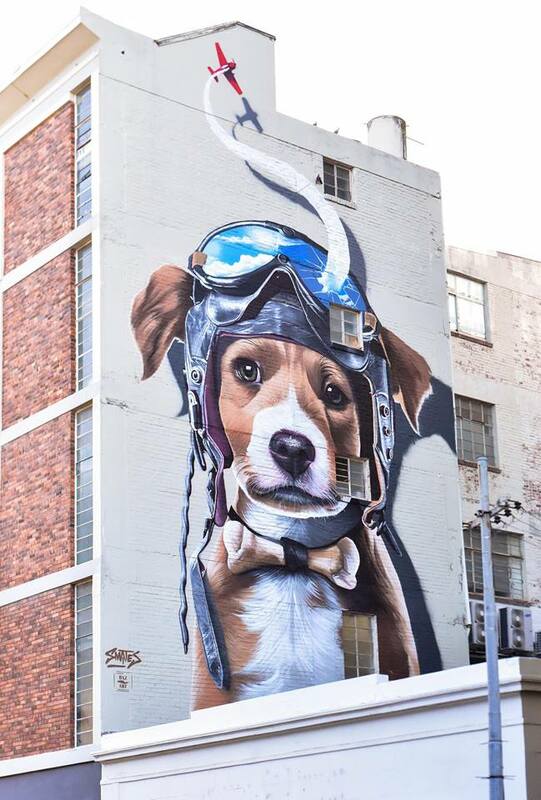 The mural, “Bone’tie” depicts a dog in an pilot helmet with goggles and a jet flying out of one of the goggle lenses wearing a bone tie.